The anti-vaxxer movement is the scourge of meticulously researched science and yet, in certain states in the US, it seems to be gaining ground. 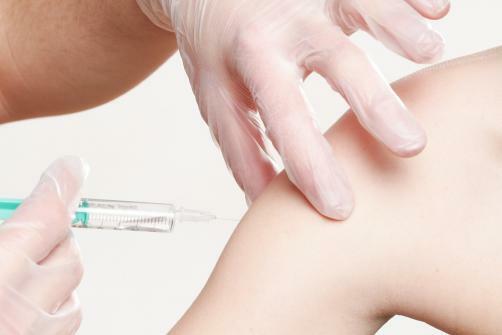 A recent study published in PLOS Medicine discovered that, of the 18 US states that permit non-medical exemptions (NME) from childhood vaccination, 12 displayed increasing rates of non-vaccination. The exemptions are obtainable due to either religious or ‘philosophical’ beliefs. However, the option to do this was recently revoked in California after an outbreak of measles that was directly linked to falling rates of vaccination. In order for herd immunity to be effective to protect a population, the percentage of children vaccinated needs to be in 90% to 95% region. This coverage was missed by a long way in certain counties spotted in the research, with a total of 10 counties across the 18 states being found to have more than 14% of young children non-vaccinated. In the 12 states where vaccination rates were falling, the researchers identified 15 clusters where 5% of all children were unvaccinated. After the California law blocking NMEs kicked in, vaccination rates reached record all-time highs, with 95.6% of young children having received all requires vaccines in 2016-2017. The issue scientist face when trying to counter the anti-vaxxer trend is that there are a growing number of high profile individuals promoting the belief that vaccines lead to autism. Though famously not on the best terms, both President Trump and Robert De Niro have voiced support for the anti-vaxxer movement – with the former explicitly linking autism with vaccines in a tweet, and De Niro backing a $100,000 reward for anyone finding the “truth” about the link between the MMR jab and autism.